After a long, stress-filled work week, sometimes you need to getaway for the weekend. Thankfully, there are many excellent getaways that aren’t too far from the Chicago area. Let’s take a look at what your options are for a quick weekend getaway from Chicago. 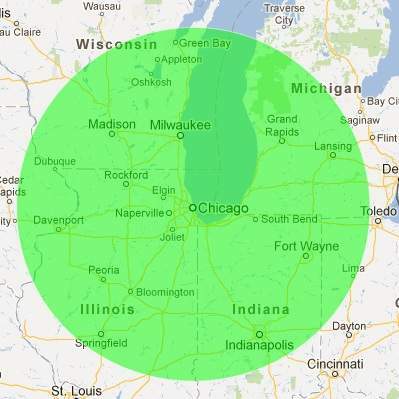 Let’s take a look at the map to the right… The green circle represents a 200-mile radius from Chicago. Let’s assume that driving and traffic conditions are optimal (yeah right) and that you drive at a reasonably safe speed; 200-miles equates to what is roughly a 3-hour drive. For a weekend getaway, 3 hours of driving would probably be the maximum trip you would want to make. So, assuming we stay within the big green circle, what options do you have for a weekend getaway? For years, Lake Geneva has been a quick getaway for Chicago-area residents. Because of its close proximity to Chicago, you could easily throw some clothes in a bag, hit the road, and be in Lake Geneva within two hours. Unfortunately, many people do just this and the area can get quite busy and overcrowded, especially in the summer months. When the summer rush is over, the town seems to heave a sigh of relief and settle back into its original quaintness. The downtown area is still a great place to wonder about, check out a few specialty shops, and have lunch. Fall is a great time to take in all the colors surrounding Geneva Lake. For more information about Lake Geneva and what it has to offer, check out this website. If you’ve never visited Staved Rock, it is without-a-doubt a remarkable place to visit; everyone who lives in the area should visit Staved Rock State Park. You can read about my first experience at the park here. The park’s terrain is unlike 99% of the rest of the boring, flat state of Illinois. 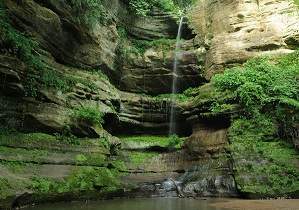 Sandstone cliffs rise high above you in lush-green woods that are riddled with streams, wildflowers, and waterfalls. If there was a Garden of Eden in Illinois, this would be it. Personally, I cannot imagine a more perfect weekend getaway from Chicago. The drive to Starved Rock can easily be made inside of 2 hours. There are resorts, hotels, motels, an on-site lodge and on-site camping available for your overnight stay. You could easily spend two full days exploring all that Staved Rock State Park has to offer. For more information about Staved Rock and the Utica, IL area, please visit the official Stave Rock website. Just at the outer-limits of our 200-mile driving range, Springfield is a great weekend getaway for history-buffs. See what is arguably the most corrupt and mismanaged state government in action (sorry, had to do it). Honestly, Springfield has tons of cool historical attractions to visit. 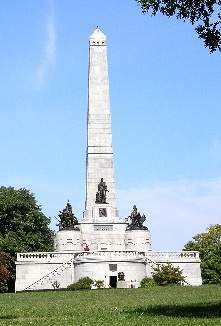 Some of the main attractions in the area include Abraham Lincoln’s Illinois home, Lincoln’s tomb, and the current and old state capitol buildings. It will take you nearly 3 hours to drive to Springfield from Chicago, but it is a trip worth taking. There are plenty of places to stay in the area, but be sure to get some reviews and additional recommendations of where you and your family should stay; some areas in and around Springfield can be a bit rough and unwelcoming. Be sure to check out the Springfield, Illinois Convention and Visitor’s Bureau website for additional information and to plan your getaway to this history-rich city. Since we’re on the subject of state capitols, Madison is a great capitol city within driving distance of Chicago. In Madison, you’ll find a surprisingly good selection of top-notch restaurants and hotels, 15k acres of lakes, the University of Wisconsin, the Wisconsin State Capitol building, and even a decent city zoo. There is a vibrant, active nightlife, shopping, and some cool attractions in the immediate vicinity. 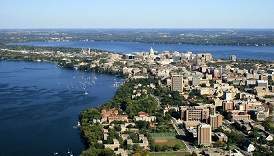 If you haven’t been to Madison, check it out. Visit Madison has a ton of information and resources to help you plan a fun weekend gateway in Madison, WI. 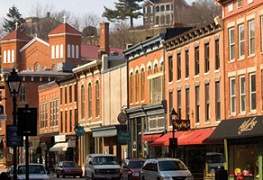 Located in the northwest corner of Illinois, Galena is a romantic, cutesy little town near the Mississippi River. If you’ve never been to the area, you may be surprised by the drastically different topography; glaciers turned northwest Illinois into area ripe with hills and valleys. It’s a great place to visit as a couple, but the kids may not have the time of their lives there. If you have no option but to bring the kids, in addition to a few kid-friendly attractions, there are many historic Civil War era buildings and tourist locations nearby that a definitely worth a visit. Plan your Galena weekend getaway using the Visit Galena website. 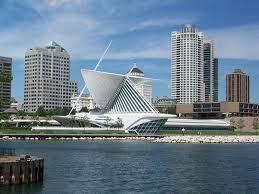 Travel north on I-94 and you can be in Milwaukee within 90 minutes. Our neighboring city to the north is home to many great sites and attractions. Spend the day perusing museums, strolling the lake front on the Hank Aaron State Trail, visiting Lincoln Park, touring the Miller Brewery, or catching a Brewers game at Miller Park. Expect a scaled-down, but still very impressive selection of big-city amenities. You’ll still find that there are world-class restaurants and five-star hotels, just not as many as you would expect to find back in Chicago. The downtown nightlife is lively and enjoyable. It’s best to stick to the visitor-friendly areas of Milwaukee; like any city, Milwaukee has it’s share of unwelcoming neighborhoods. Milwaukee.org is a great starting point to plan your weekend away. We will be adding more weekend getaways from Chicago soon; be sure to add this page to your favorites!